Mostly Aboriginal land, the Northern Territory’s Kakadu and Arnhem Land Region is one of Australia’s last true wildernesses. If you want to see saltwater crocodiles in their natural habitat, then this is the place to visit. It’s also right up there with the Kimberley region of Western Australia and Queensland’s Cape York to visit when you travel around Australia. 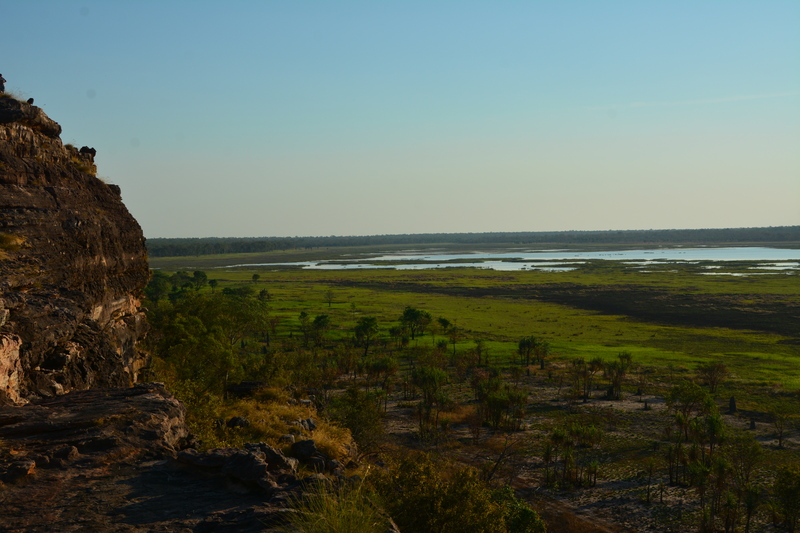 Kakadu and Arnhem Land have managed to remain largely untouched, mainly due to lack of access to the area and a lack of interest from pastoral and mining companies. 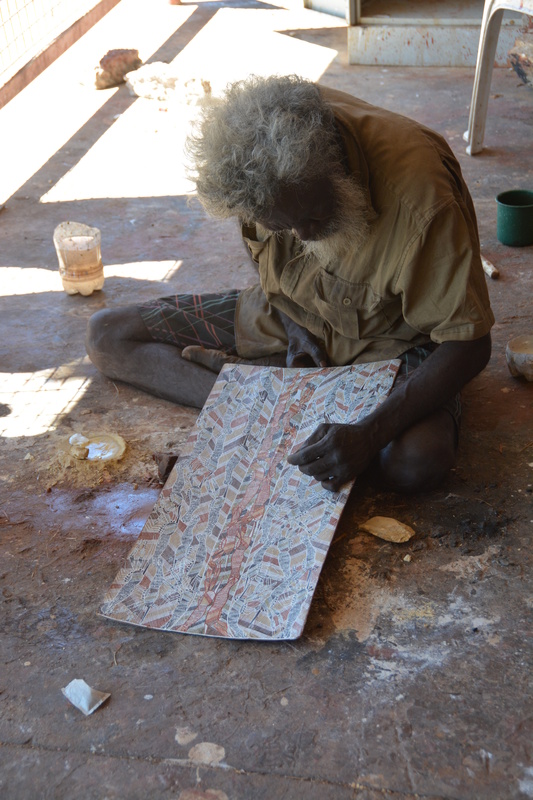 Although one of the world’s largest uranium mines, the Ranger Mine is located in the heart of Kakadu and has had an impact on the lifestyle of those that live in the area as well as the environment. The introduction of animals such as Water Buffalo, Wild Horses, feral pigs and cane toads has also had a large negative impact on the environment. However, to the casual observer when visiting the park, it appears to be untouched by the feral animals. There was one report of a Water Buffalo when we visited one of the tourist spots but we couldn’t see him. Just a well! 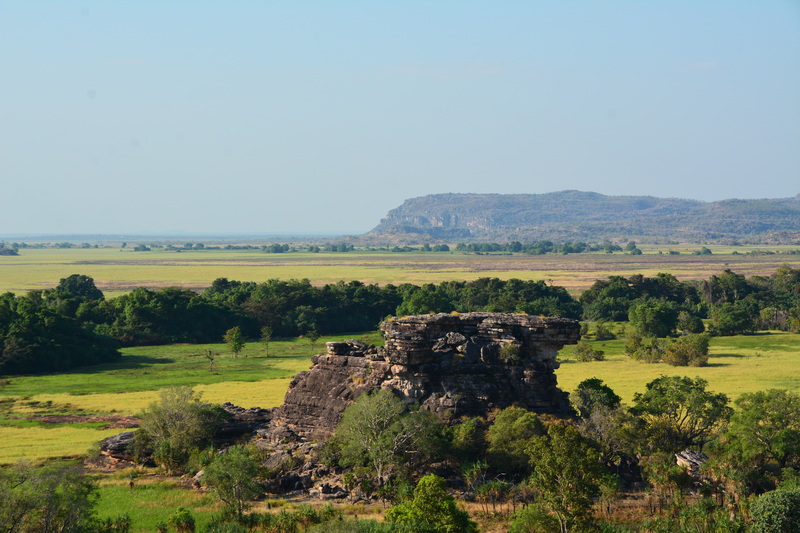 The most well-known image of Kakadu is the 330m escarpment rising from the floodplain and running for 500km into Arnhem Land. It was once an undersea drop-off when the area was submerged 140 million years ago. These days it is eroded by seasonal monsoon rains rather than the waves of the ocean. Though the Aboriginal custodians identify 6 seasons, Kakadu and Arnhem Land experience two distinct seasons—the wet and the dry. The “buildup” is the heavy humidity, huge thunderstorms and oppressive heat that occurs before the rains arrive. It is these seasonal rains that make Kakadu and Arnhem Land such an amazing experience. The water erodes the landscape, flooding rivers that flow over the amazing waterfalls. The wet season ends in the “runoff”, when the excess water drains into the sea. Peak tourist season occurs after this time, when the region is at its driest and most accessible. 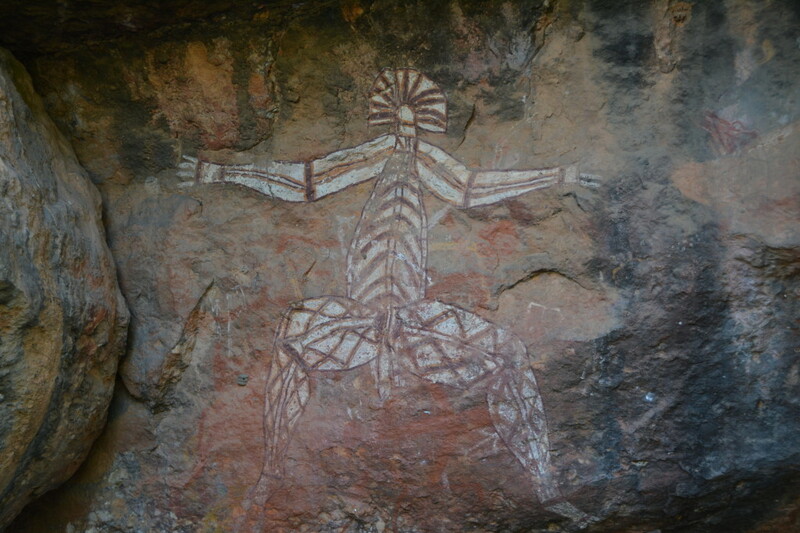 Kakadu and Arnhem Land is renowned for ancient Aboriginal rock art, contemporary Aboriginal art and great nature experiences. The dry season, from June to September is the most comfortable time to visit, with 30 degree days and little rain. Nights can become cool. This is peak tourist season, and prices are at a premium. October to March is the wet season, and the rain brings closure of many roads and attractions. It’s also the time that the land is bursting with fauna and flora, and prices are at their lowest. The top-end experience shifts with the weather and predicting it can be difficult. We believe that the best time to visit is directly after the wet season. Low prices, low tourist numbers, and plenty of water in the creeks and waterfalls. However, some attractions can be closed due to the roads not repaired or crocodiles still inhabiting popular swimming areas. 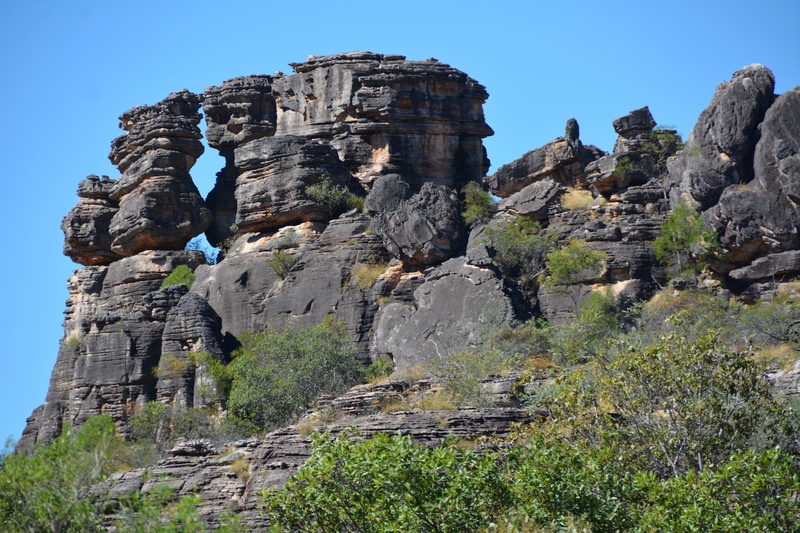 Geography: The “Stone Country” incorporates the Arnhem Land plateau rising from low grasslands and floodplains. Mangrove lined coastal regions and pockets of dense monsoon forest. The region is characterised by the annual rains, followed by the receding of the waters. Flora: Among the richest in Australia with over 1700 species. Eucalyptus, spear and sedge grass, pandanus, melaleuca, water lilies, native wildflowers, mangroves, banyan trees, kapok trees. Fauna: 8 species of kangaroo and wallaby, northern quoll, bandicoots, brush tailed phascogales, fruit bats, tree rats, dugong. There are 280 bird species including numerous parrots, lorikeets, rosellas, honeyeaters, thrushes, finches. There are also 10,000 species of insect and numerous reptiles and both salt and freshwater crocodiles. Nhununbuy, Jabiru, South Alligator, Cooinda, Maningrida, Gunbalanya, Yirrkala. Gaining access to Arnhem Land can be difficult. First, permission must be obtained from the traditional owners with many areas being out of bounds. Saying this, there are tour guides who can access most of these places and more than happy to help you part with your money. If you want to visit these places you must either pay a tour guide or befriend a local. There are tour guides operating from Katherine and Darwin who are more than willing to take you into Kakadu and Arnhem Land, but it’s a very structured experience where you get off the bus, look at what you’re told to look at and are put back onto the bus before being driven to the next sight. While you’re booking tours, note that alcohol restrictions apply throughout most of Kakadu and Arnhem Land, and it could be difficult to enjoy a beer or wine while camping in this area. A 4WD camper, along with your own 4WD vehicle, is the best way to see this area. There are plentiful camping grounds, both free and paid, and there are a few caravan parks as well for a more luxury experience. The 4WD is going to let you access more remote tracks, and having your own portable accommodation means you’re free to choose your own experience rather than relying on a tour guide to shepherd you across the countryside. We visited the park in the start of the dry season and most of it was accessible. It’s best to have a 4×4 so you can get through some of the rivers and dirt / sandy tracks.